A44 is an independent games studio based in Wellington, New Zealand, founded in 2013. Our goal is to create games defined by emergent and authentic multiplayer experiences. We are passionate about tight, skill based combat and immersive, captivating worlds. What languages does Ashen support? Ashen has an English spoken voice over and text translations for several languages, including Spanish, LATAM Spanish, Italian, Brazilian Portuguese, Japanese, Korean, Russian, French Chinese (Simplified), Polish and German! For everyone wandering into the light for the first time in the world of Ashen, we’ve put together FAQ for the multiplayer, so you know exactly how you can team up with other players. What is multiplayer in Ashen? 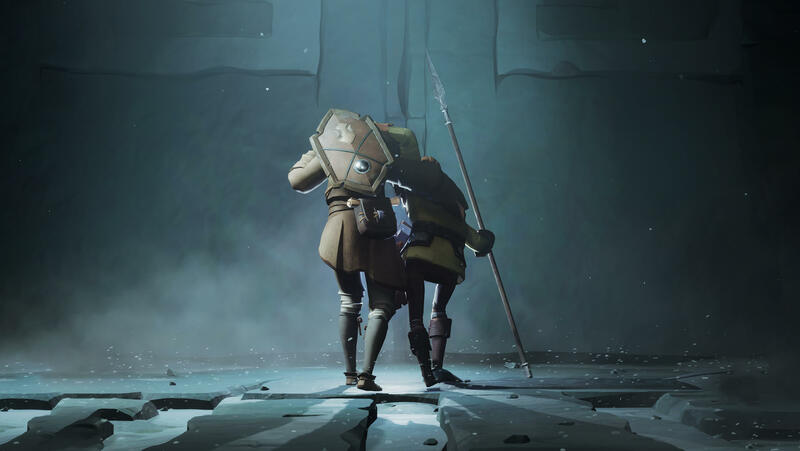 Ashen features passive multiplayer, meaning you’ll encounter other wanderers in the world who you can choose to complete quests with, take on dungeons or just explore the world together. Players you connect with appear as the NPC character you’re currently on a quest with, and likewise you will in their game too. At what point can I start connecting with other players? Once you’ve completed the first quest (‘Hammer and Spark’) and founded your town (known as Vagrant’s Rest), you can connect with players throughout the rest of the game. You will need to run outside the town boundaries in order to connect as the town itself is a single player zone. What decides who I connect with? For two players to connect, you’ll need to be at roughly the same part of the main story. A good indication for this, is the bosses you’ve defeated. For example, a player who has defeated the first boss, can't connect with a player who hasn't defeated the first boss. You also need to be in the same area as another player to run into each other. Where can I not connect with other players? Inside the perimeter of your town, Vagrant’s Rest, you won’t be able to connect to other players. You can enter dungeons with someone else, but once you’re inside you won’t be able to connect to any other players besides the one you entered with, until you leave the dungeon. How can I connect with a specific player? Using the multiplayer filter is the best way to connect with your friends. We currently do not support multiplayer cross-play between the console and PC versions of Ashen. Generally, outside dungeon doors and near ritual stones are great places to connect to other players. However, if you interact with and sit down at a ritual stone, you’ll reset the world and disconnect with anyone you were playing with. You do not need to turn off the AI companion for multiplayer to work. They’ll accompany you in between moments with other players and will seamlessly disappear as you connect with another player. Other players are always the priority. For those who decide to do a Children of Sissna playthrough, you'll still be able to connect with all other players. A good way to tell if you’re with another player is if they use their beckon (the default buttons for beckon on game pad is the up d-pad button, and “T” key on PC) or run ahead of you leading the way. We hope you have a great time going on journeys with other players in Ashen!